Here at Accident Lawyer Hawaii we are proud of our track record in court, but we are also very quiet about it. All of trials for over 10 years have resulted in favorable verdicts for our clients, including a recent verdict in excess of $5 million. However, we are very private with the results that we obtain. This is unquestionably best for our clients. We do not advertise on TV nor do we call press conferences about the cases we handle. In that light, unlike some firms, we are not willing to provide lists of the results of recent cases or decisions in which we were involved. Perhaps the best recommendations for our firm come from our clients and our colleagues - who have decided to let their feelings be made known. We are thankful and humbled that both our clients and our peers have consistently given us the highest ratings and recommendations possible. In large part based upon such recommendations, our firm has the best ratings possible from numerous attorney rating services. We are Top Rated by Martindale Hubbell (AV preeminent). We have the best rating possible from AVVO.com (10 of 10) - both for general practice and for personal injury. 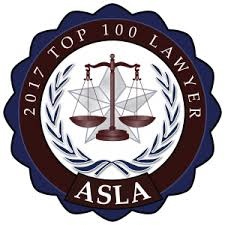 Our clients and our peers have both given us the top ratings possible from Lawyers.com (5.0 of 5.0 for Peer Rating and 5.0 of 5.0 for Client Rating). Links to those ratings can be found on the Awards and Honors page. There are also many individual ratings and reviews of our law practice listed at each of those sites for you to consider. We would be honored to discuss your claims with you and, if appropriate, to assist you with the individualized top-rated legal services and personalized attention that our clients have come to enjoy. Please choose us to consult with you about your claims so that we can show you why our clients and peers have consistenty rated us as one of the best personal injury law firms in the State of Hawaii.